Sometimes it will be my tip. Sometimes, it will be from someone else. Sometimes, it will be a specific project, and other times, it will be a practice or idea. But Friday will host a post on frugality to help your dollars stretch! There are lots of deals out there that can only be claimed by SPEAKING UP! Have you noticed a lot of products have a phone number printed on the label asking you to call with questions or comments? I had never given it much thought until about 7 years ago. I was cleaning out my medicine cabinet when I found a bag of Halls cough drops. I couldn't remember when I bought it, and at the time, Halls did not print expiration dates on the bag, only codes. I called the phone number listed on the bag, and the company rep deciphered the code to let me know how old my batch was. (It was still good.) As a thank you for calling, they mailed me two $1 off coupons for future purchases. Back then, the cough drops were priced for less than a dollar, so I ended up with two free bags! Because of my long hair, I often experience a clogged bathroom sink. 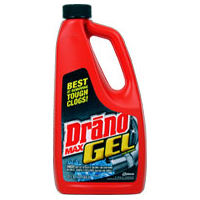 I typically buy Drano to unclog it, but one time, I decided to go for the cheaper Liquid Plumr. I applied it a couple times to my sink to no avail. I had my husband pick up a bottle of Drano on his way home from work. Drano cleared my sink in one application. I called the company just to tell them how much I appreciated them making an effective product. They thanked me for calling and sent me a coupon for a free bottle. 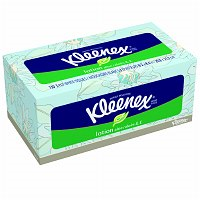 I buy Kleenex with Lotion by the 3-pack. There was one winter when I noticed that whenever I pulled out a tissue, it ripped as it came out of the box. On top of that, the 2 layers of tissue would separate. I called and told the manufacturer that they "may want to be aware of a defect." They thanked me for letting them know and then sent me two coupons for $1.50 off a 3-pack. 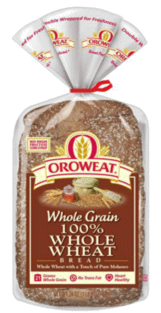 At another time, I was on the Orowheat website attempting to print a 45-cent coupon for a loaf of bread, but every time I submitted my information, I was re-directed to a dead page. My husband tried on different computers and encountered the same problem. I clicked on "contact us" and emailed the company stating that I wanted to print out their coupons but that I was unable to and wondered if there was some other way to get them. The following week, I found in my mailbox 4 coupons for $1 off a loaf of bread. These are just some of the types of discounts I have received by speaking up. Does this happen to me every time I have spoken up? No. But it has happened MOST times. Is this something you can do? I don't advocate making a career out of calling companies for the sole purpose of receiving free merchandise. I find such a practice unethical and an unwise use of time. I am inviting you to call a company when you appreciate their product or when there is truly a flaw in one. This creates a win-win situation in which manufacturers receive valuable feedback on their wares and you help keep the products you like in production and/or receive valuable discounts on things you already use!